3M WARRANTY & NEW MOT INCL. 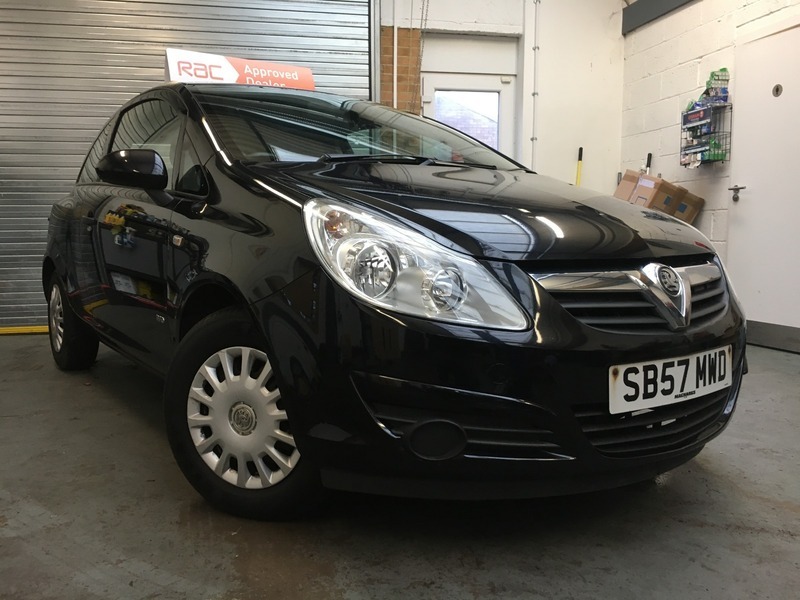 Vauxhall Corsa 1.0 i 12v Life 3dR! WARRANTY! FREE 12M AA BREAKDOWN! CHEAP TAX & INSURANCE! FULLY SERVICED & VALETED! IDEAL FIRST TIME CAR! GOOD RUNNER! Tinted Glass, CD 30 - Stereo Radio/CD Player, Electrically Operated Front Windows with Safety Autoreverse and One-Touch Facility. 5 seats, BLACK. CHEAP & EASY FINANCE AVAILABLE! FOR HONEST RELIABLE RAC APPROVED CARS! ALWAYS SERVICED & VALETED!